Chinese authorities will ban fossil-fuel vehicles in Beijing that do not meet new emission standards, on days when a “orange” or “red” smog alert is issued. The ban on vehicles that do not meet exhaust-emission regulations will be enforced during air-pollution alerts, beginning next year, according to the city's environmental protection bureau. All owners whose vehicles do not meet national emission standards will be fined 100 yuan ($14.50) for every four hours their car remains on the road on alert days. Smog is a serious threat in many cities in the world, including Beijing, and thick poisonous smoke caused by numerous fossil-fuel powered engines shrouds many of the country's northern cities during the winter, causing hazardous health conditions. 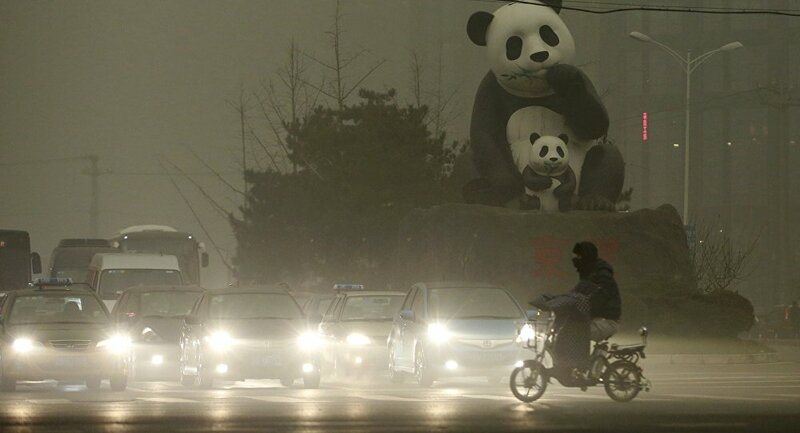 In China, fossil-fuel pollution is under national regulation similar to that in Western countries. Cars 10 years old and older are subject to additional rules as their emission standards in production were not as exacting as later models. Nevertheless, while these older vehicles comprise just 8 percent of all operating vehicles in Beijing, they are responsible for an estimated 30 percent of all smog-causing nitrogen-oxide emissions, according to the bureau. The ban will cover Beijing, neighbouring Hebei province, and Tianjin city. The proposed changes in regulations aim to bring different municipal regulations to a single nationwide standard. Other proposed changes include that schools will only be closed selectively during air alerts, while originally all schools were closed during poor atmospheric conditions. Beijing has resorted to dramatic measures, including a limit on the number of license plates that can be in use simultaneously. City authorities have encouraged the replacement of fossil-fuel powered vehicles by providing generous subsidies.